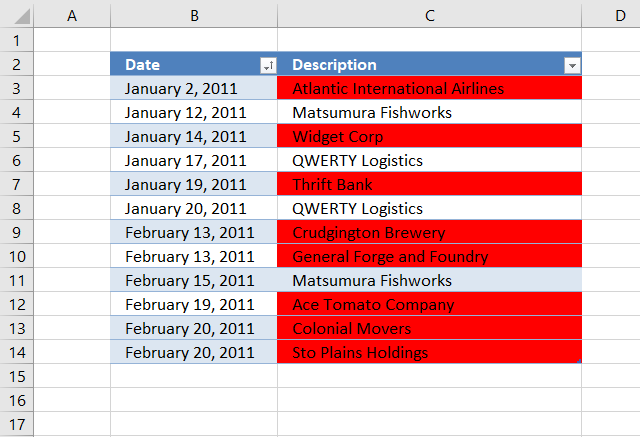 Conditional formatting lets you apply cell formatting or built-in signs if a specific condition or critera are met. 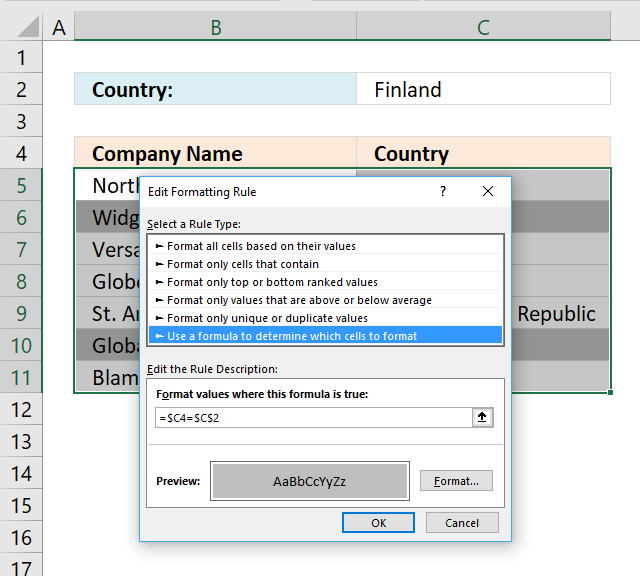 There are a few prebuilt you can choose from but the real fun starts when you create your own conditional formatting formulas. 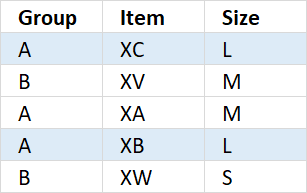 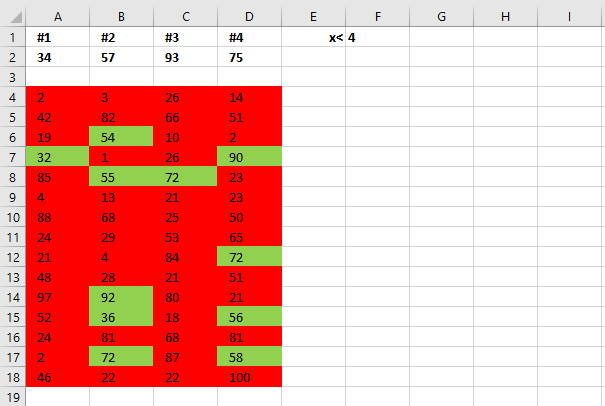 This image shows specific records highlighted based on two conditions, if group = A and size = L.
Go to tab "Home" and click the "Conditional Formatting" button to display the conditional formatting options. 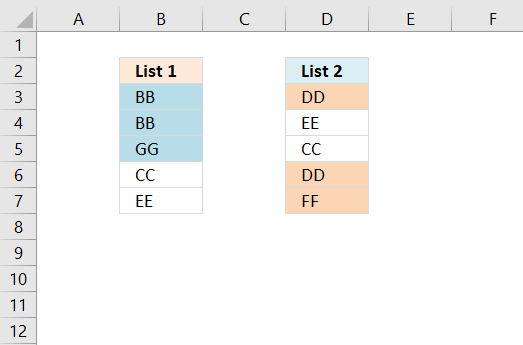 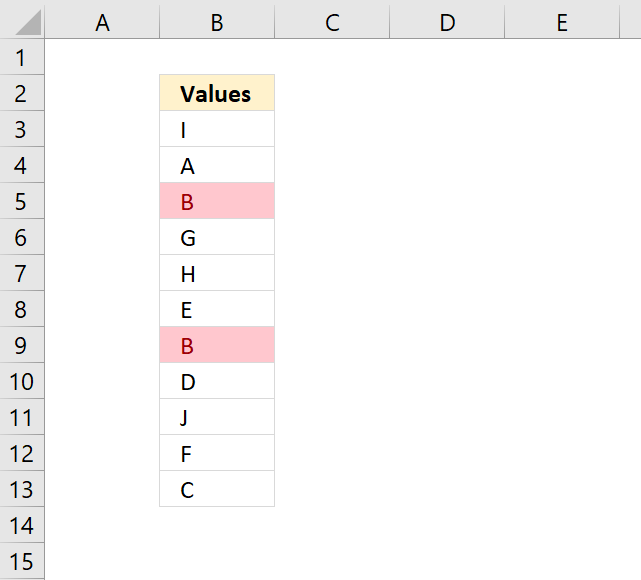 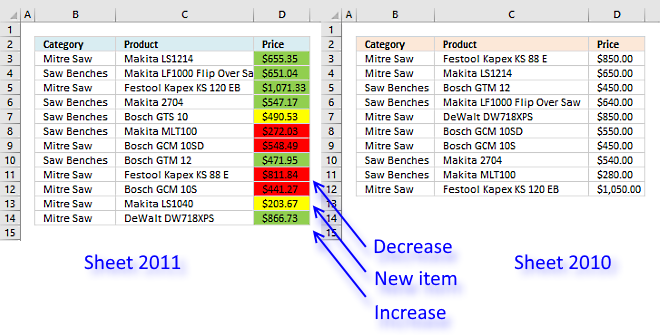 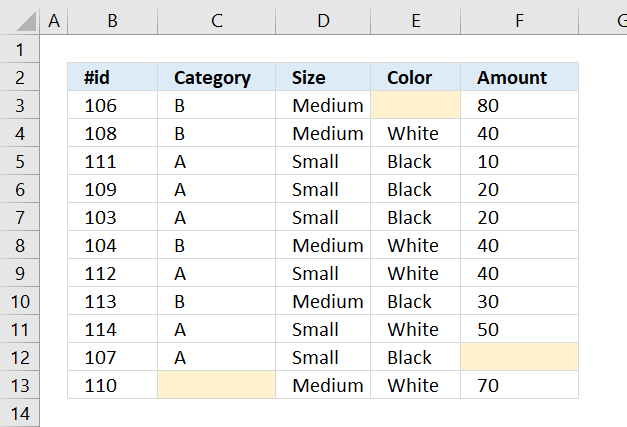 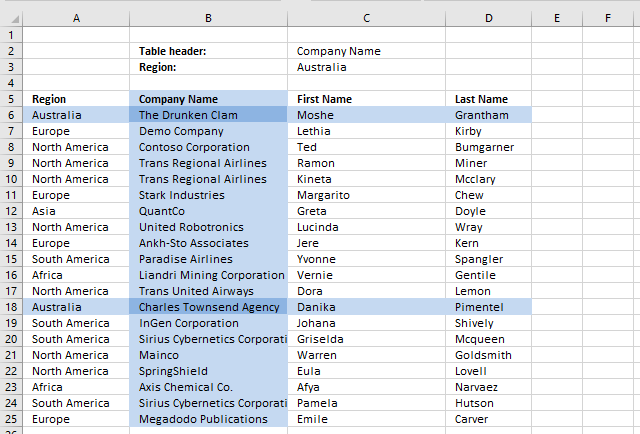 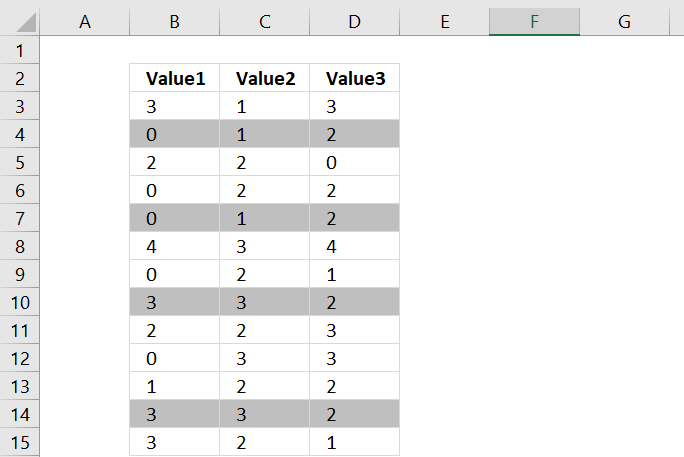 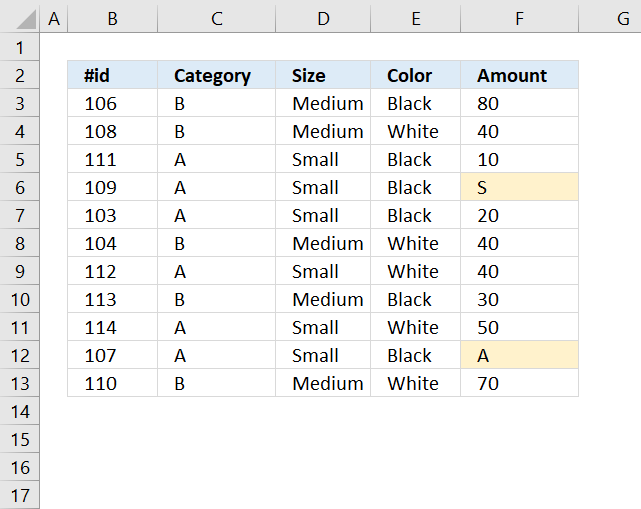 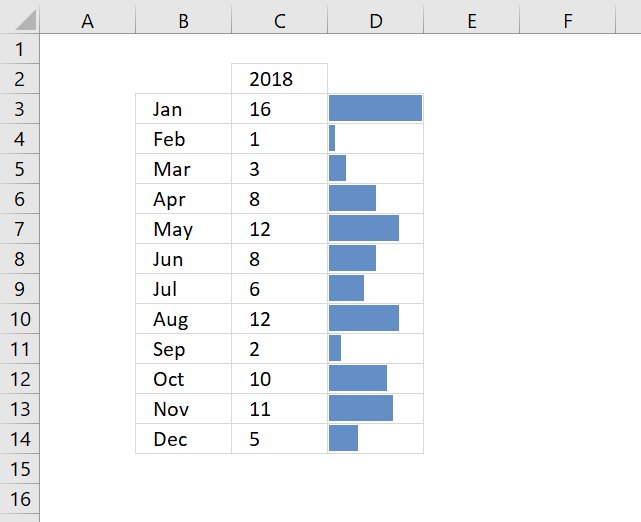 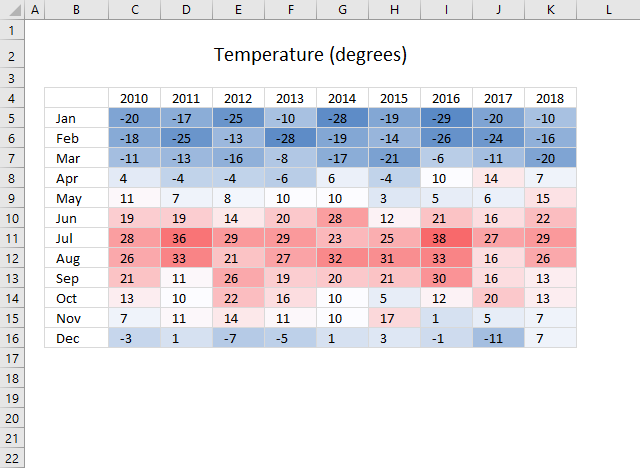 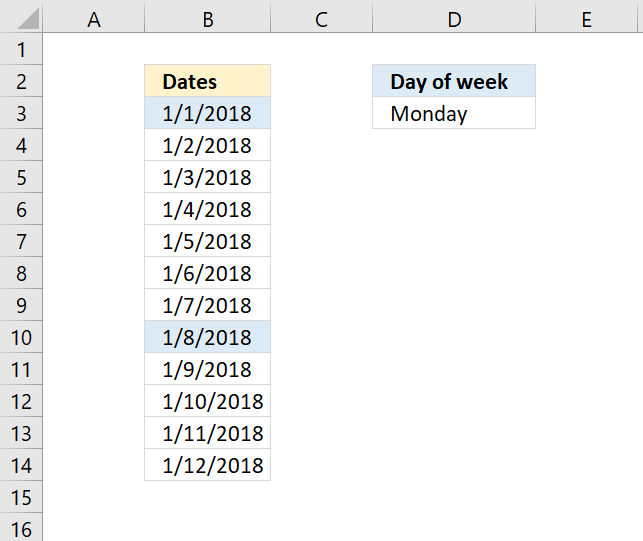 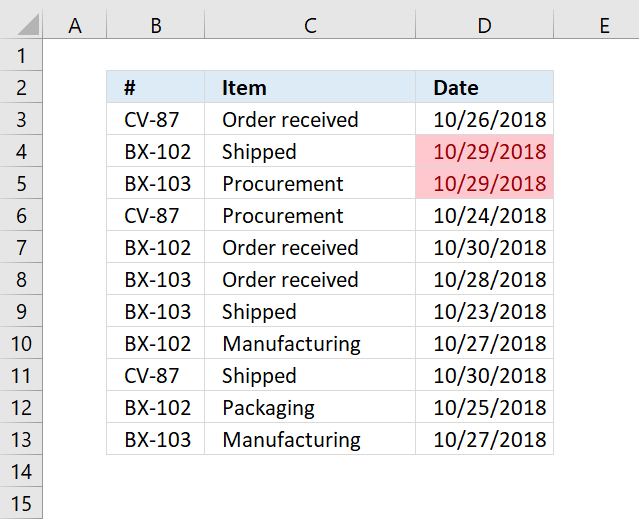 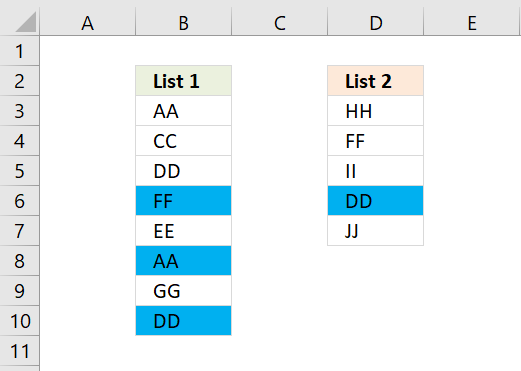 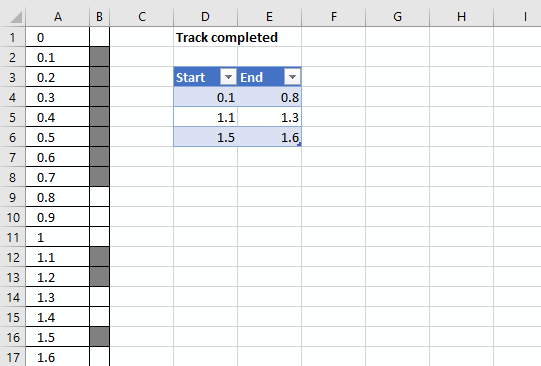 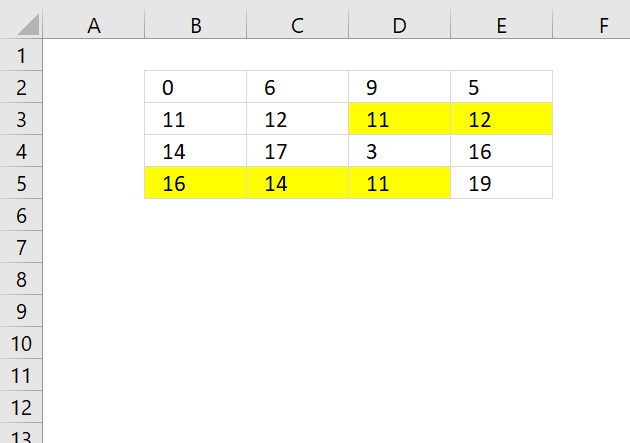 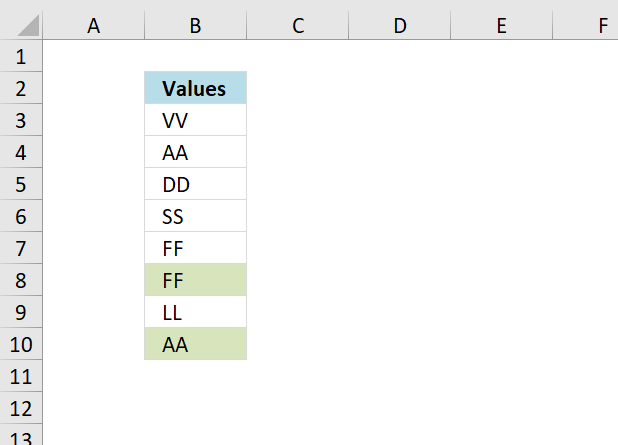 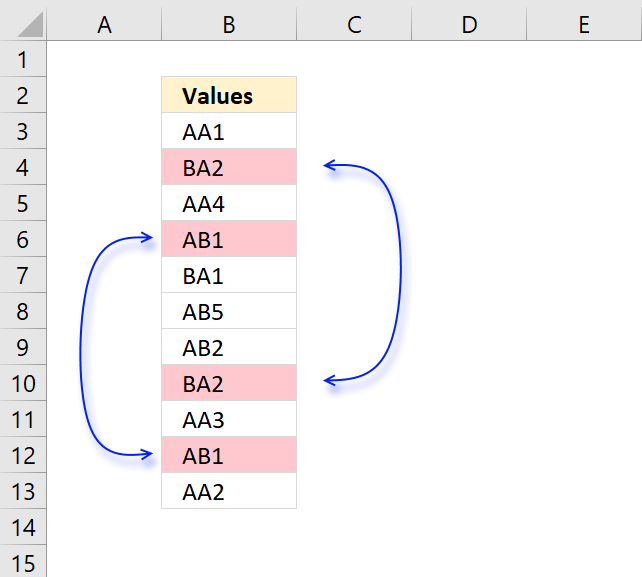 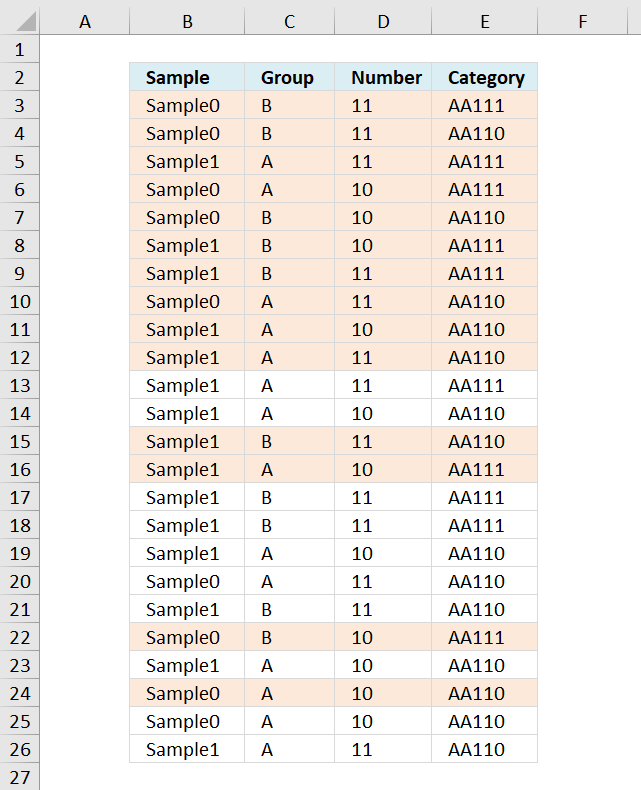 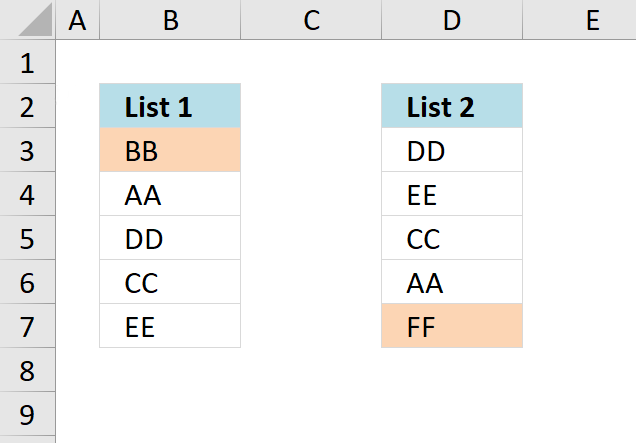 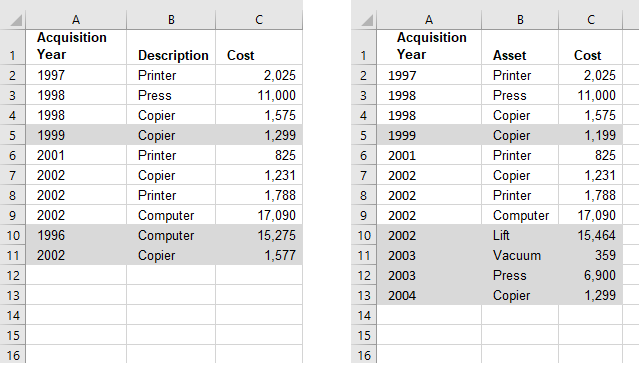 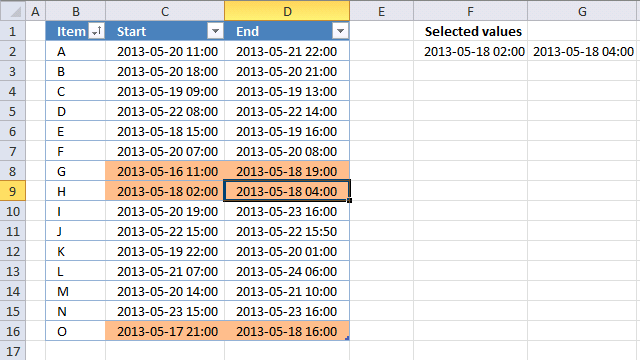 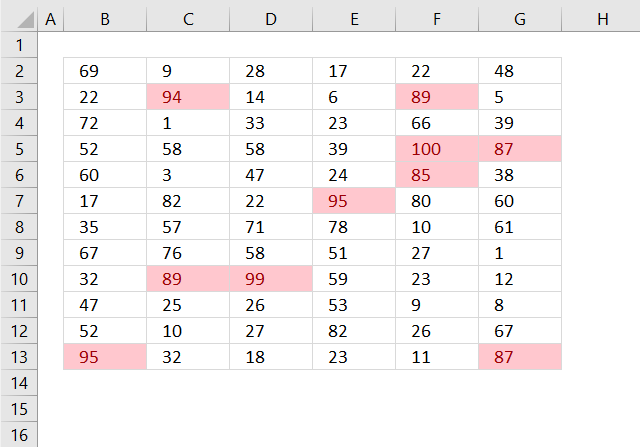 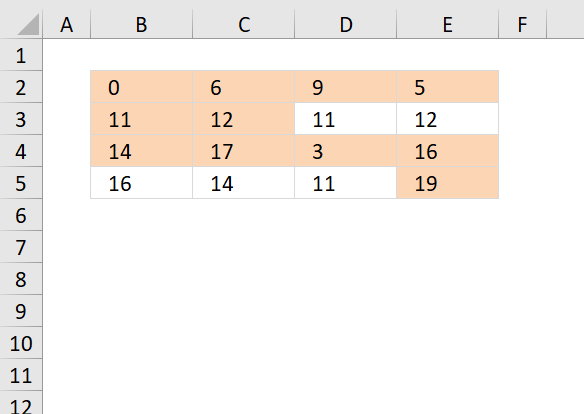 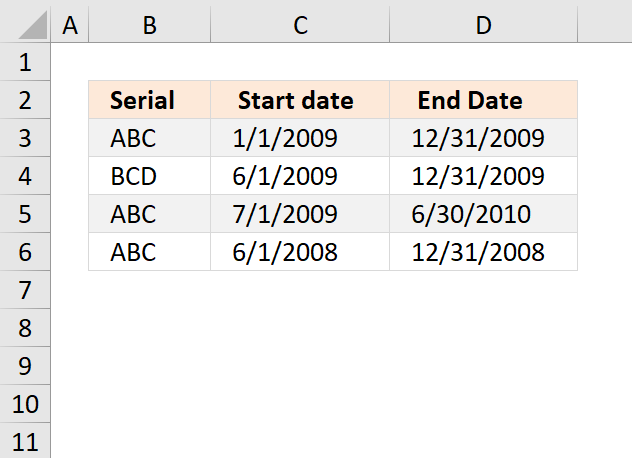 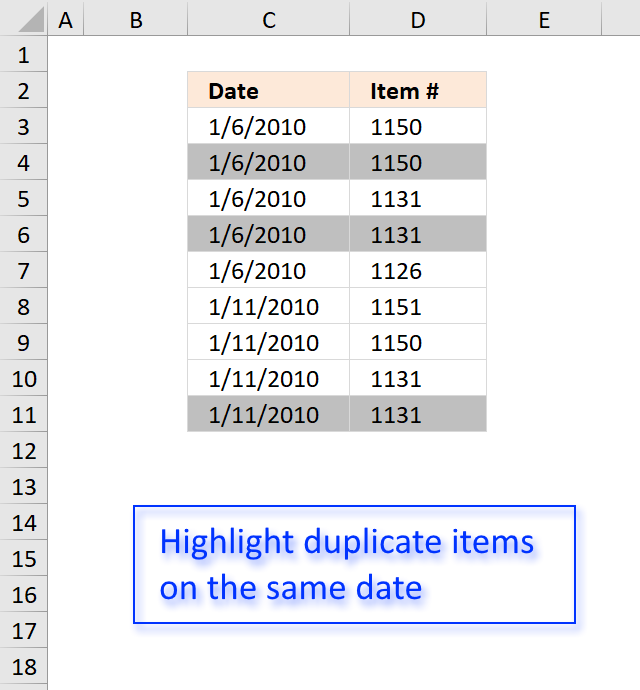 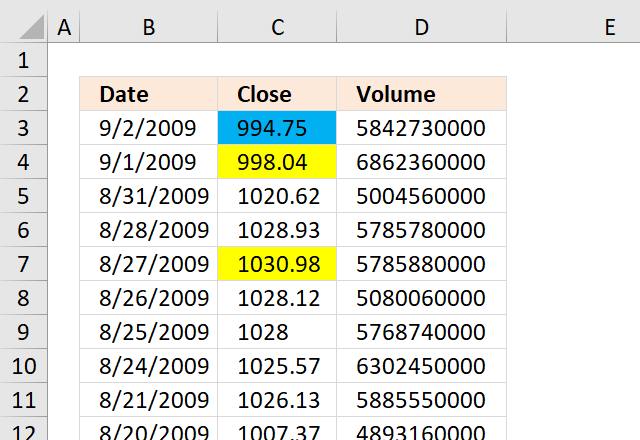 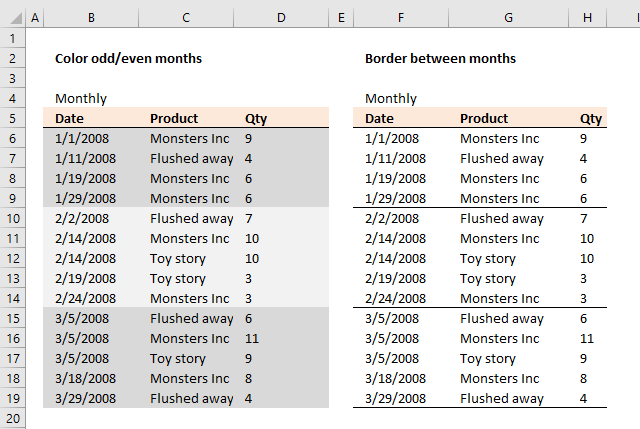 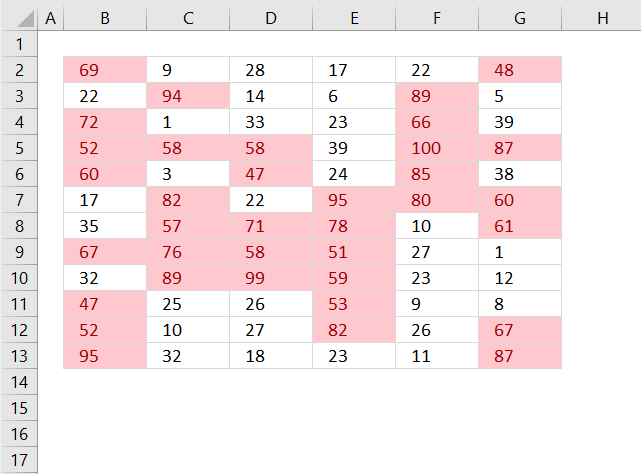 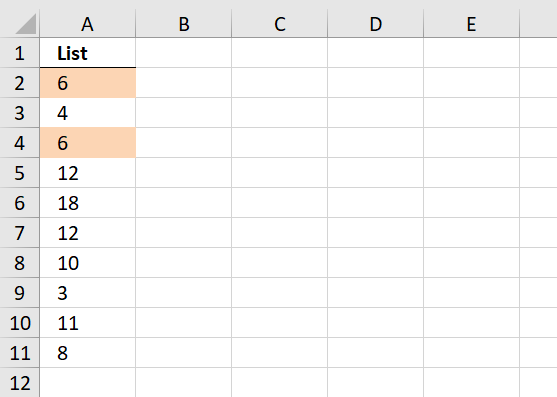 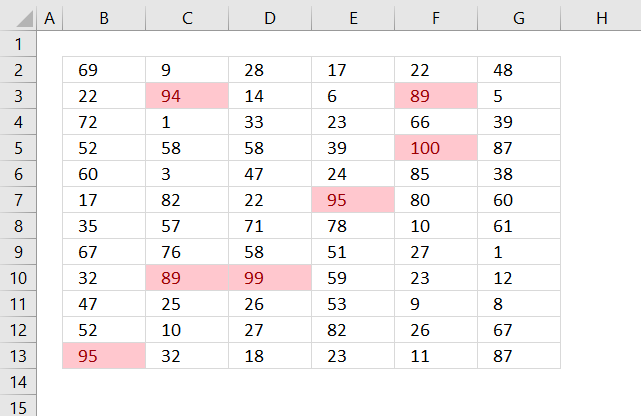 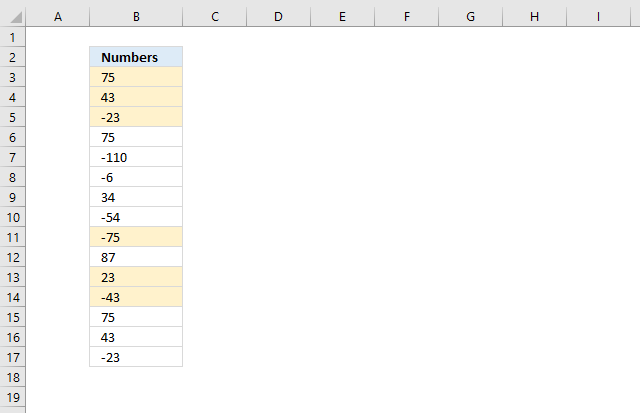 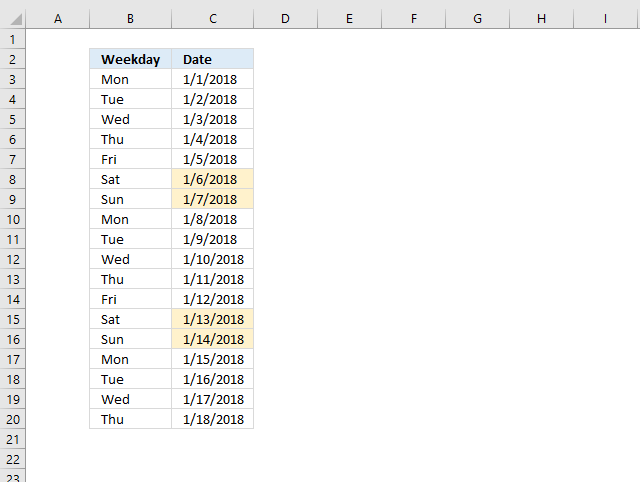 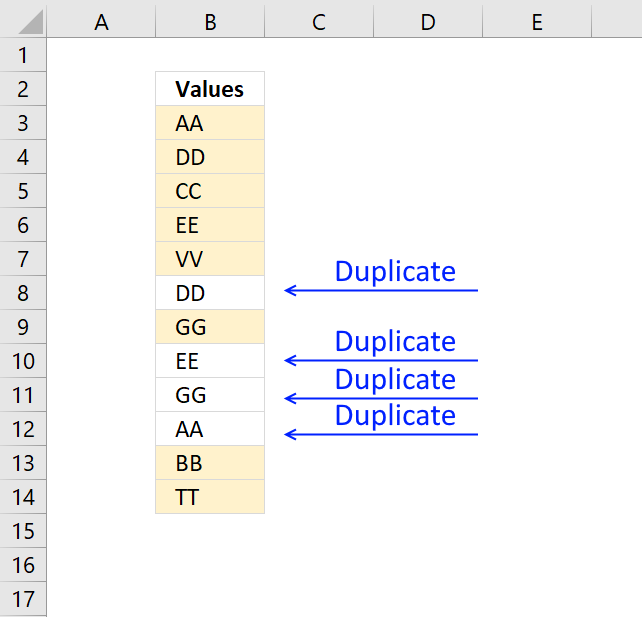 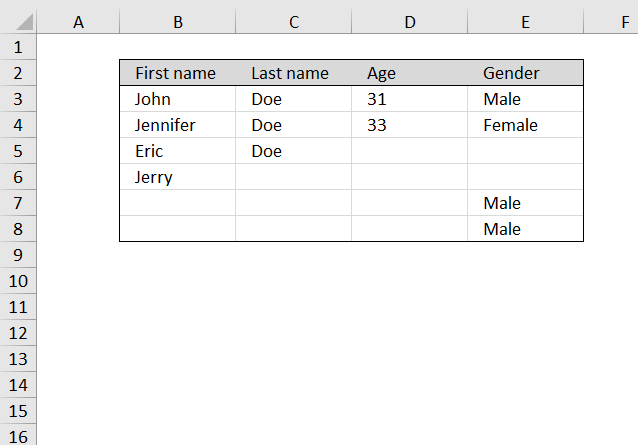 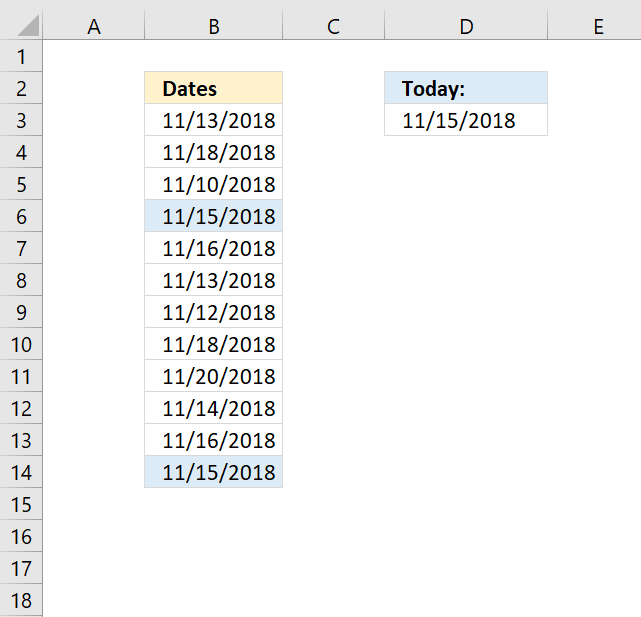 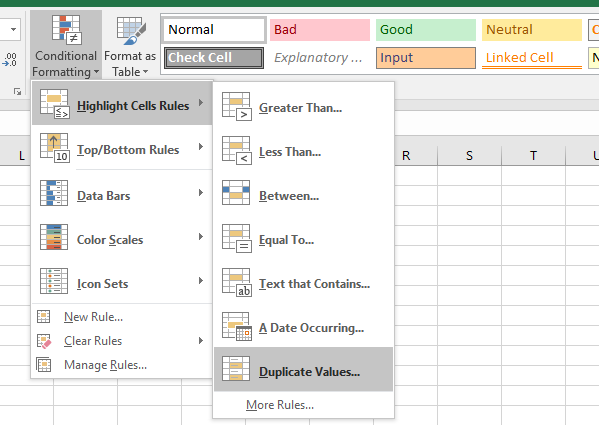 Note: Conditional formatting is volatile meaning when the worksheet is recalculated all conditionally formatted cells are recalculated, this may slow down your worksheet considerably. 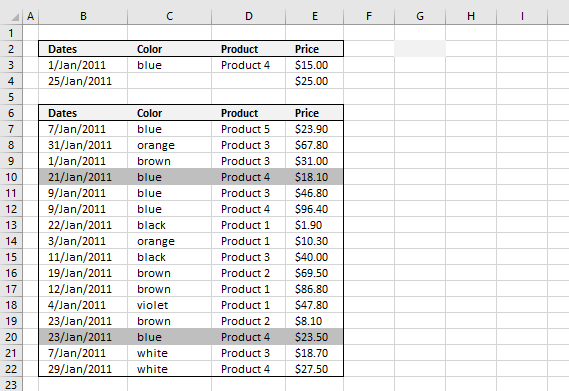 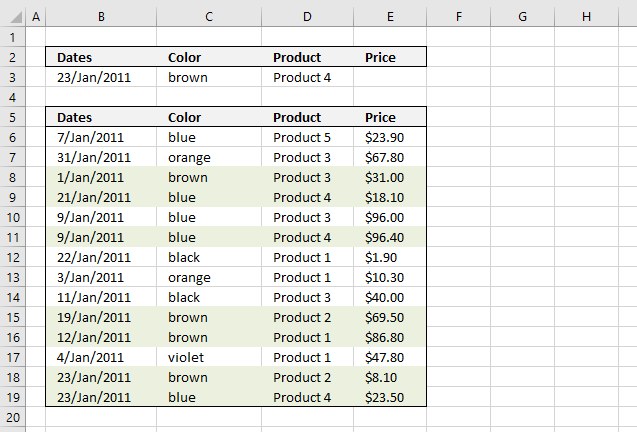 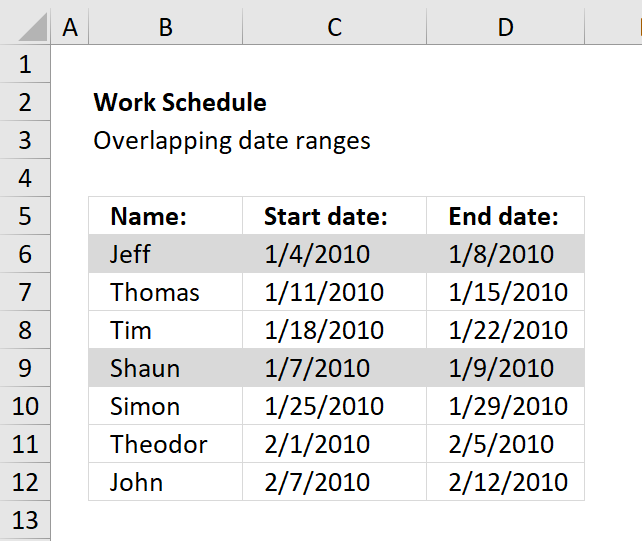 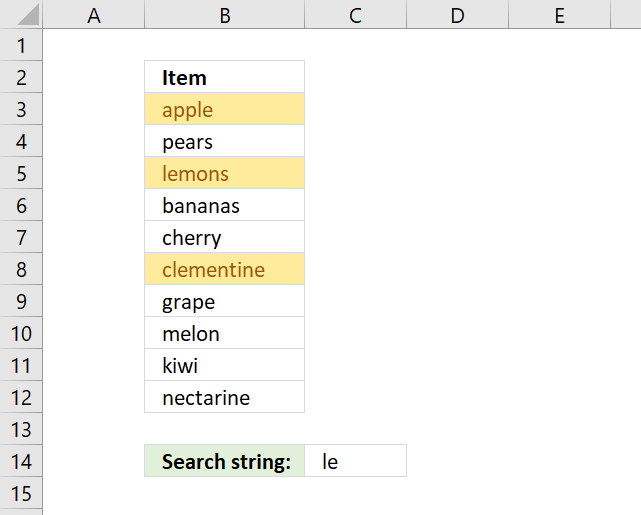 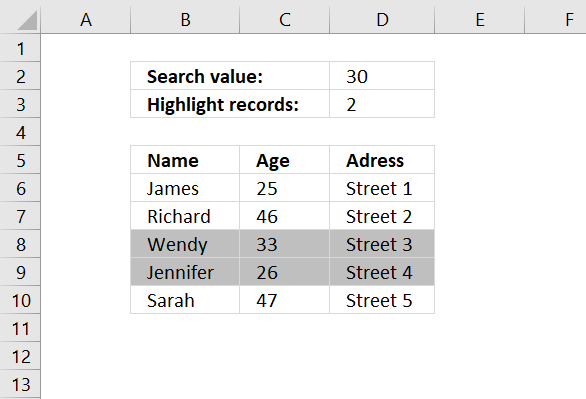 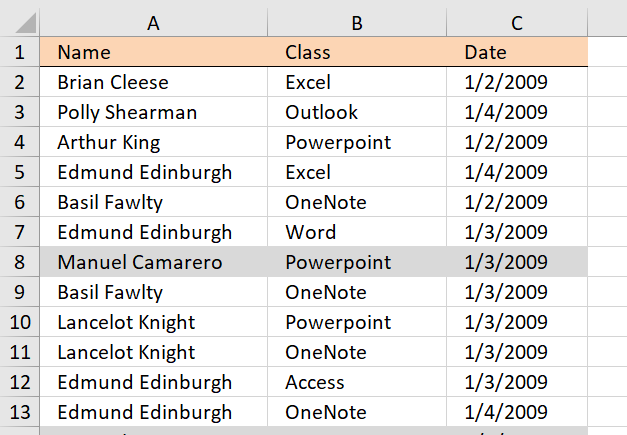 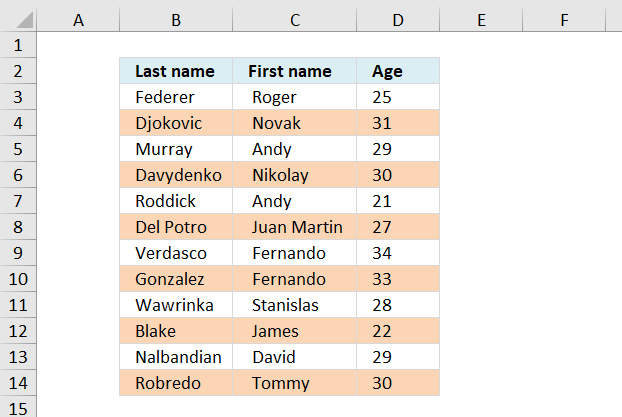 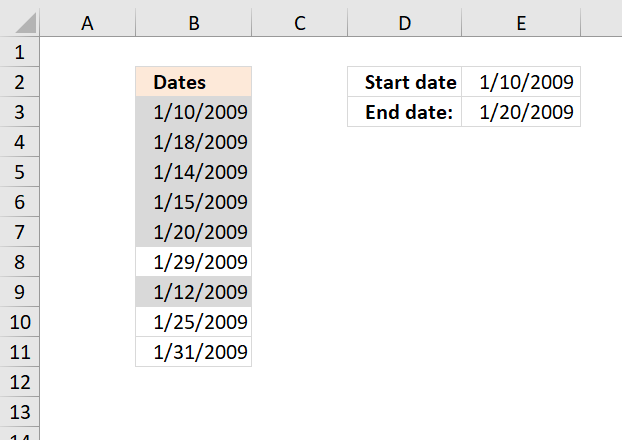 Did you know that you can sort formatted cells to the top of a list? 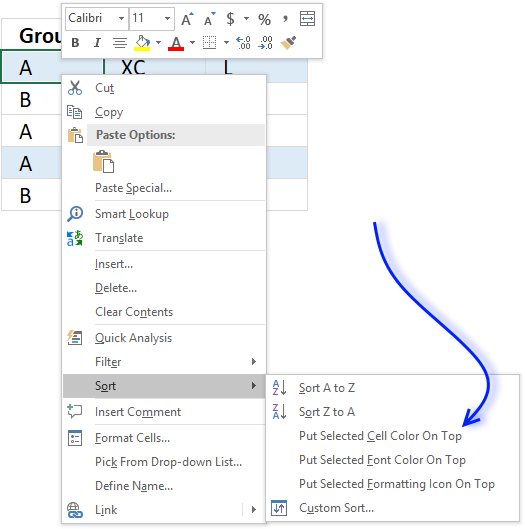 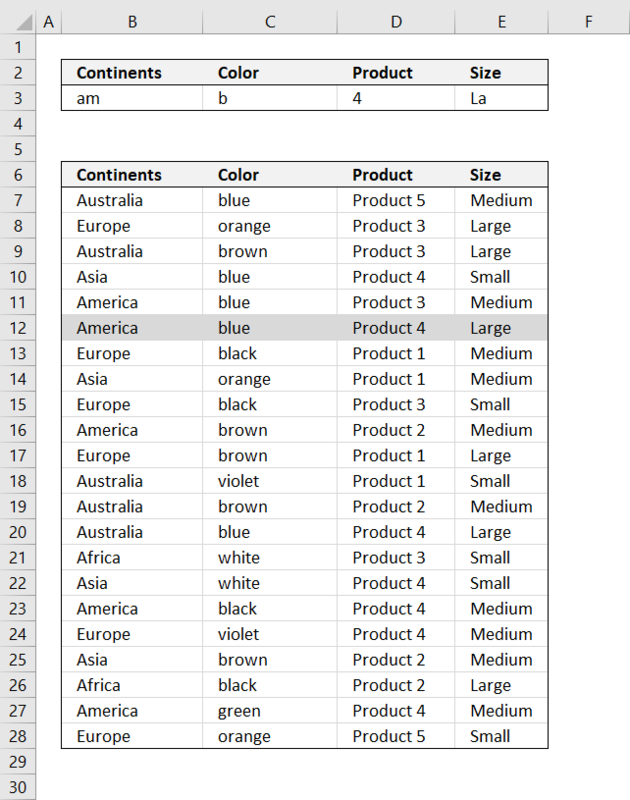 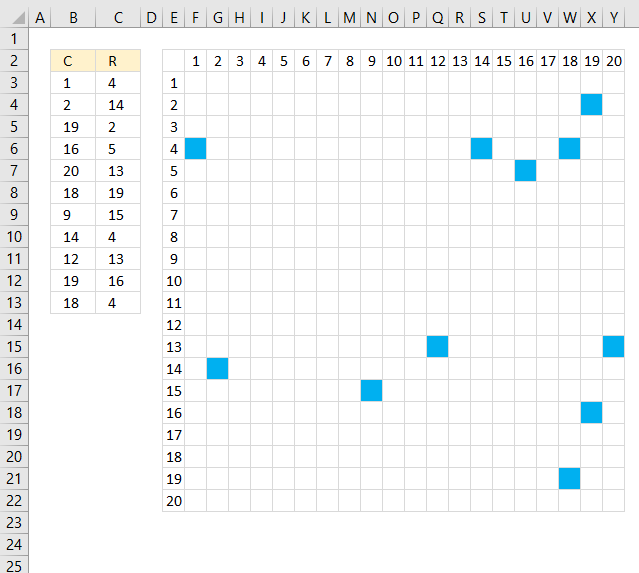 Simply right click on a cell and click "Sort" -> "Put Selected Cell On Top".